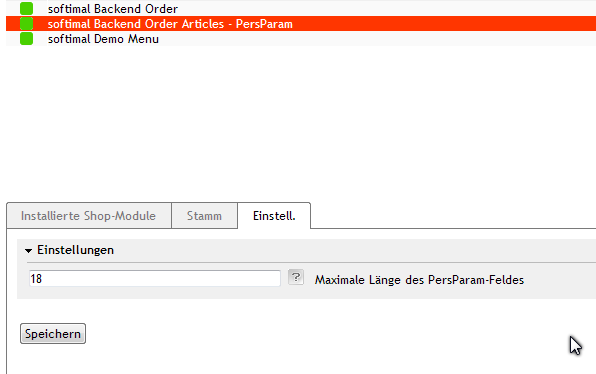 OXID eXchange | softimal Backend Order Products PersParam 1.0 | Stable | CE | 4.9.x | Module, Themes, Language Packs direkt herunterladen! A customer calls you, because he forgot to fill out the personal parameter label. Or you call him to get to know, but now you don´t know where to enter this information into the system? 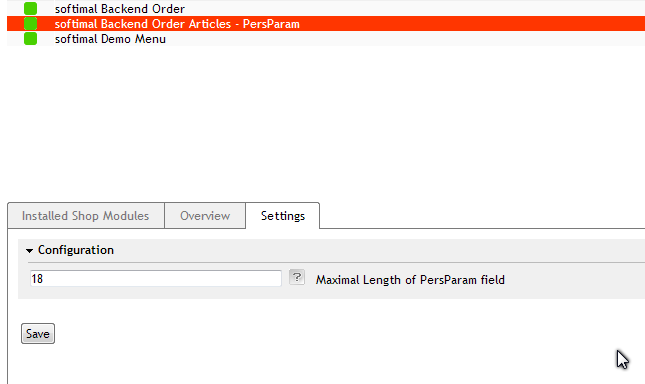 Also you want to make sure, that the personal parameter does not exceed a certain maximum length, because you cannot print endless phrases on your items? This FREE module makes the necessary fields available, the Update-Button will save the entered data.